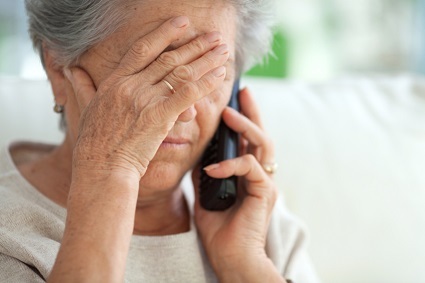 What makes seniors prime targets for financial scams? Is it loneliness, misplaced trust — or something else? Joint research done by the University of Toronto’s Ontario Institute for Studies in Education (OISE) and Ryerson University may have found the answer. In the study titled The Role of Cognition, Personality, and Trust in Fraud Victimization in Older Adults, researchers found that poorer cognitive skills are the main determinant of fraud victimization, rather than other factors. The study, recently published in the journal Frontiers in Psychology, involved Ontario seniors aged 60 and above; they each lived independently in their communities. The participants answered questions about 15 common consumer and mass marketing fraud schemes, which included weight loss scams, advance-free loans, lottery fraud, and emergency scams. The study proponents explained that cognitive skills are needed to think, learn, and reason. These include the ability to do simple calculations in your head, follow a conversation, and recall events from within the past month. “The same abilities that enable someone to do these tasks well may also be important for identifying and avoiding scams,” said Dr. Kang Lee, professor at OISE’s Jackman Institute of Child Study and Tier 1 Canada Research Chair, who is also a lead author of the study. The researchers also looked at factors aside from cognitive skills and social factors. They examined demographic factors, such as gender, income, and education. They also looked at two personality traits, conscientiousness and honesty — which were also significant indicators among fraud victims. According to researchers, people with very low levels of conscientiousness tend to act on impulse and neglect small details. These could cause victims to impulsively agree to scammers’ solicitations and overlook possible red flags. Low levels of honesty could also indicate a tendency to break rules and manipulate others for personal gain. “It’s possible that less honest individuals view a scam as a way to experience personal financial gain in an unconventional way, and may not be as adverse to the underhanded nature of some scams,” Dr. Lee said.